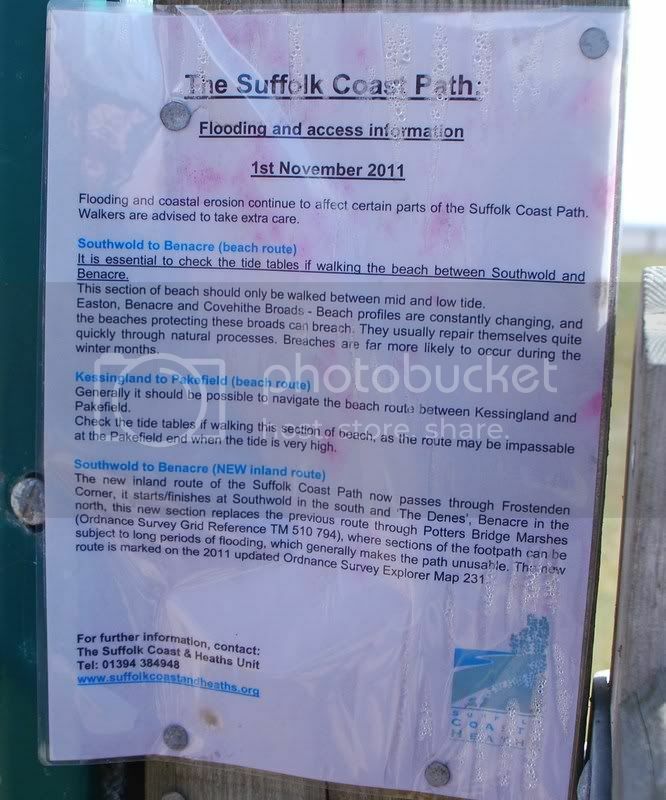 I recently walked the stretch of beach from Kessingland to Southwold and whilst pausing for a break at Easton Broad, I came across this sluice, which I believe your EA have typed up incorrectly as EASTERN Broad instead of EASTON Broad, for the sake of accuracy can you please explain the discrepency? Four emails later I received this from the EA stating [the obvious] that it was not a deliberate mistake! Thank you for your email regarding the incorrectly spelled sign at the above location.Please be assured that this is not a deliberate mistake on our part and we thank you for bringing it to our attention. We have passed this to the Operations Delivery team for that area and who will be correcting the sign in due course.I trust that this has answered your query if I can be of further help please do contact me.